One official from Guangxi has taken the initiative by declaring his assets online. I’ve talked before about having strict standards for officials. Well, I’d like to recommend one cadre to everyone (including the Xi Jinping administration): Mr. He Wenkai, 48, deputy secretary of the local Party committee and deputy procurator general of the People’s Procuratorate of Fangchenggang in Guangxi. Recently He has become a hot topic on Chinese microblogs because he wanted to prove his innocence and challenge the popular opinion that no officials would dare to publicly declare their assets because they are all corrupt. He posted his family assets on his microblog: two properties in Fangchenggang, a monthly salary of 5,872 RMB ($955) plus his spouse’s income from a job at a hospital, one family car, etc. Who would have thought how many waves this weibo post would stir up? His posts went viral on the Internet. Although some were against him, there were far more supporters. According to reports, the biggest conflicts came from his family and close friends, who were all sweating bullets on his behalf. Was he being too high-profile? Is he sure he really doesn’t have any hidden assets? Did he really survive a “human flesh search engine” — how is that possible? And if he doesn’t have hidden assets, that could be even more dangerous, because now he has put his bosses and superiors into a risky position. The reason why I recommend this official to you is that I think that he is representative to some extent. In each stages of China’s reform and opening-up process, there have always been Chinese people brave enough to stand up. For example, the peasants from Xiaogang Village in Anhui Province signed a pact that would serve as a prologue for rural land reform. Then there’s Sun Zhigang, whose death led to the abolition of the holding system for beggars and vagrants. There are also the victims and lawyers who fought against the “reeducation through labor” system. But throughout the reform process, what has been the biggest problem? Corruption and corrupt officials. If this can’t be dealt with, everything else was in vain! The way to deal with this issue is very simple: establish a systemic approach to fighting corruption. The most important step is to have officials publicly declare their properties and income — and it’s exactly on this crucial point that reform has hit a roadblock. Someone said, “We want to make officials declare their assets? Well, we have to be ‘democratic!’” So they held a poll among officials and used “democracy” to decide whether or not to require the public declaration of assets. It turns out almost every official was opposed to this idea! Wow, what a victory for democracy! What does China need now? At this critical moment in the reform process, what China needs is for one or two (and then more and more) officials to bravely stand up, just like ordinary people have done countless times during the reform process. 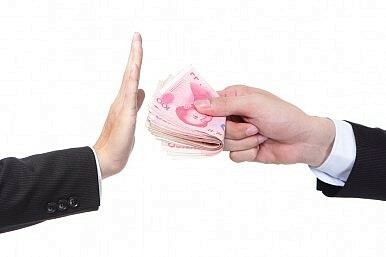 These officials will stand up by openly declaring their assets, showing the truth to all of China’s people: among China’s six million officials, there are some who long for a system to fight corruption, and there are some who dare to publicly announce their property and income. There are two reasons I want to recommend He Wenkai to the Xi Jinping administration. First, Mr. He will be more effective than any propaganda department or a month’s worth of new agency releases; he will give the Party moral authority. Second, the general public (and especially those officials who are trying to free themselves from a corrupt reputation and damaging rumors) are ready for the next phase in establishing a system to fight corruption. I hope the Central Committee will consider it. China's Former Internet Czar Lu Wei: A ‘Shameless,’ ‘Extremely Disloyal,’ ‘Double-faced Man’?China's Anti-Corruption Campaign Marches OnChina's Potential Trial of the Century Over Before It BeginsThe Time a Corrupt Chinese Official’s Mistress Told Me to RunWill Zhou Yongkang Be Crucified?